As part of the new renovations to the UW Geological Museum, we planned and built a modern lab dedicated to fossil preparation. 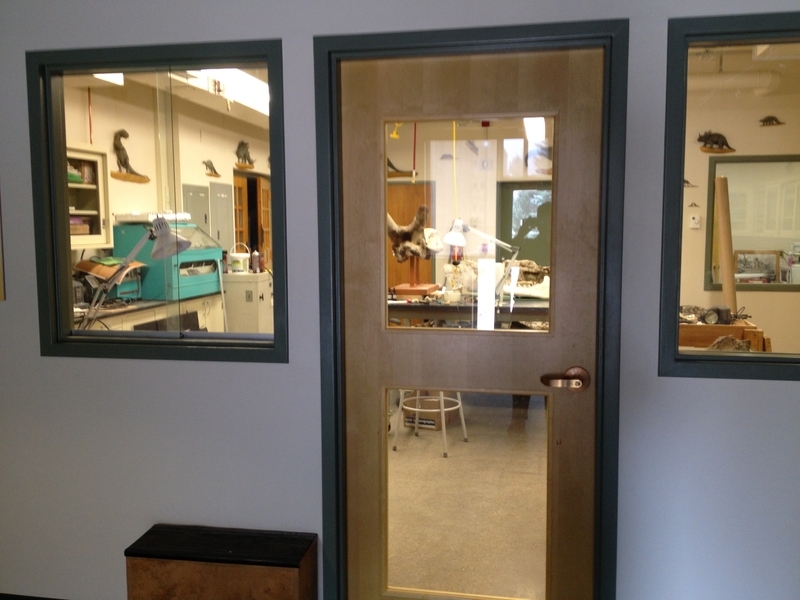 The prep lab is a working exhibit, with large windows where visitors can see fossil preparation in action, and even a sliding window where visitors can ask questions. The lab has 4 bench workstations, each with compressed air, electricity, and shared smal portable fume hoods. Another station is dedicated for work on large field jackets and also has compressed air and electricity close by. An air-abrasive unit uses the final compressed air station. There are many ongoing projects in the prep lab that visitors can see. We are working on several large jackets from the Laramie Pipeline Dinosaur project, as well as other fossils still in the matrix. We are also working on some of the mounted specimens that have been in the museum for decades. These specimens were glued together using older adhesives and shellacs, and sometimes "preserved" with a coating of creosote! Aside from potential toxicity issues, these older materials have not aged well and have become brittle and discolored over time. Brontothere skull, where the right side in photo has had old varnish removed to expose the white bone. Volunteers are very important members of the UW Prep Lab team. Stay tuned for profiles of our volunteers in this space! 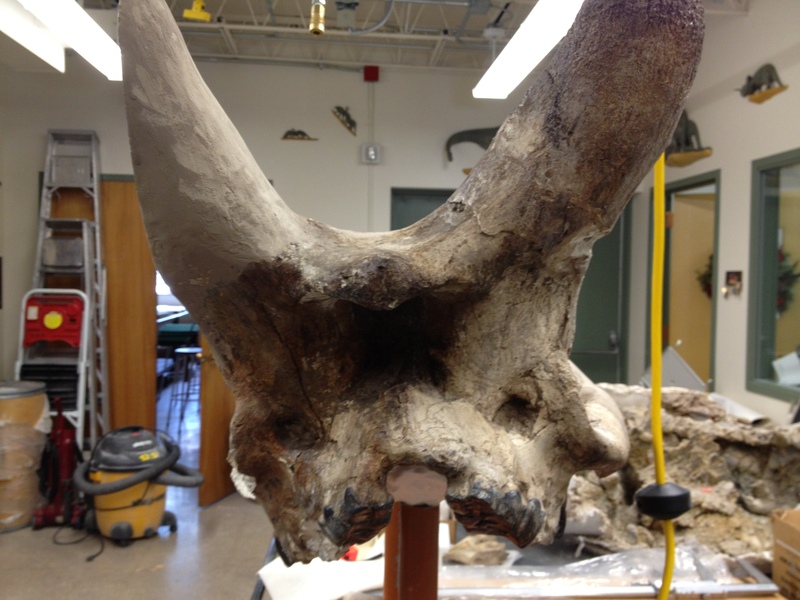 Wyoming Public Radio story on our fossil prep lab!